It is no secret. The last few months and years have not been kind to the International Criminal Court (ICC). Fairly or not, the Court has been the target of a growing chorus of criticisms which insist that it unfairly targets African states and embodies the latest line of neocolonial tools imposed on weak states by the powerful West. In Libya, the ICC was left desperate and empty-handed in what was supposed to be its most recent legitimating exercise: i.e. 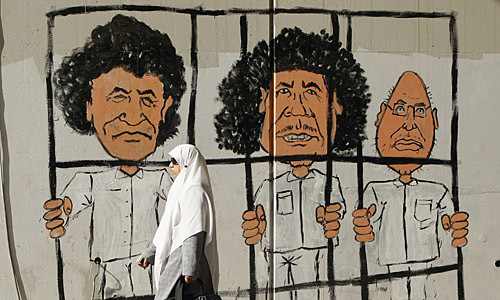 intervening against the regime of Muammar Gaddafi. The Kenya cases – the first investigations opened by the Prosecutor’s office itself (rather than by referral from the UN Security Council or an ICC member-state) – are hanging by the thinnest of threads. Some of the Court’s biggest fish – like Joseph Kony and Omar al-Bashir, and the targets many expect should be in the Court – like Bashar al-Assad, seem more than comfortable evading justice. For adherents of the ICC, it isn’t a pretty picture. One result of all of this calamity in the realm of international criminal justice has been a re-calibration of the expectations of what the ICC can – and cannot – deliver. This has happened not just within the halls of NGOs, academic institutions and political institutions like the UN but more subtly, within the Court itself. Most notably, there appears to be a softening of the lofty rhetoric that the ICC can “end impunity” for war crimes, crimes against humanity and genocide. Instead, there is a nuanced but important shift towards maintaining that the ICC can contribute to ending impunity – not by prosecuting bad guys in The Hague – but by helping states prosecute perpetrators themselves. As readers will know, a foundational premise of the ICC is that it acts in a complementary fashion to national jurisdictions. This is embodied within the Court’s principle of complementarity wherein the ICC can only investigate or prosecute crimes when the relevant state is unable or unwilling to do so itself. 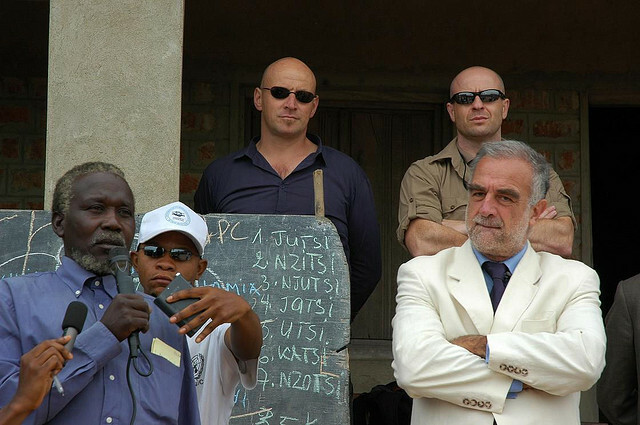 The Court’s first Prosecutor, Luis Moreno-Ocampo, famously exclaimed that the ultimate success of the ICC would be a world where there were no cases being prosecuted in The Hague because states were able and willing to prosecute international crimes themselves. As the ICC has been unable to demonstrate that the majority of its warrants would be enforced, that it could have uncontroversially positive effects on the conflict and post-conflict situations in which it intervenes, and that it had the capacity to deter crimes or “end impunity”, the importance of the Court’s role in encouraging states to prosecute crimes themselves has achieved a new level of relevance. Again, this is a nuanced shift. Complementarity has always been a core element of the ICC’s mandate. So-called “positive complementarity”, wherein the ICC galvanizes domestic interest and capacity to prosecute crimes, was placed centrally in the Office of the Prosecutor’s 2009-2012 prosecutorial strategy. But what we are witnessing now is a move from an expression of complementarity as a principle that differentiated the ICC from previous tribunals (especially the Rwanda and Former Yugoslavia tribunals) and a lofty end-goal, to entrenching complementarity as a current, primary and strategic goal of the the Court. Many of the brightest luminaries in international criminal justice have been busy writing about the potential of complementarity. Sarah Nouwen has written a brilliant book examining complementarity in action in Darfur and northern Uganda. Chandra Sriram and Stephen Brown have described the “shadow” of the ICC in Kenya. Darryl Robinson and Kevin Jon Heller have each written important treatises on how complementarity should – and shouldn’t – be understood. And, in a forthcoming publication in International Affairs, Kirsten Ainley argues that the ICC’s best chance of deterring mass atrocities is by instigating domestic proceedings. On the practice side, the ICC’s impact in Libya has been justified via the language of “positive complementarity”. The Court was left empty handed and essentially abandoned by the international community in Libya. At least partly as a means to save face, it framed its intervention as one which remains legitimate and positive because it galvanized Libyan authorities to take justice seriously. Of course, the ICC’s record on complementarity is mixed. 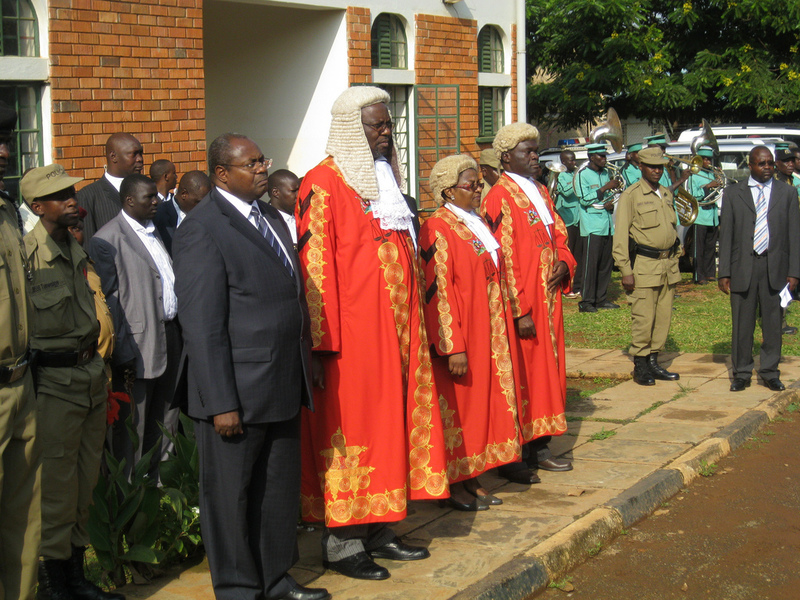 In Uganda, the International Crimes Division is a mess, having consistently violated the constitutional rights of the sole defendant in its dock, Thomas Kwoyelo. In Kenya, a similar division has yet to be fully established. Despite some Libyan jurists reiterating that Abdullah al-Senussi and Saif al-Islam Saif will be prosecuted by Libyans in Libya, there is no evidence that the Court has positively influenced the justice system or its specific cases in Libya. Many hail Colombia as the best case for complementarity but even there, justice processes have been painstakingly slow. Structurally, it is difficult to see how a Court that is designed to intervene in situations where political violence pilfers judicial systems and judiciaries of their integrity is supposed to galvanize domestic prosecutions – at least in any meaningful timeframe for victims and survivors of atrocities. Perhaps the Court reached too far. Perhaps it was too bold in its first years and has had its hand slapped so many times that it sees no choice but to accept the limits of its capacity. In other words, the complementarity turn may have arisen not out of a core belief that the ICC actually can “end impunity” but of a realization that it can’t – at least not alone. Another way to look at it is that the ICC is learning. In a world where Syrias, Central African Republics, North Koreas and Gazas exist, the promise of a treaty-based court “ending impunity” rings hollow in ears of the very constituencies the ICC is meant to represent. Perhaps lowering expectations and highlighting the potential of international-national cooperation is a pragmatic, even wise, shift in strategy. The complementarity turn is not a bad development for the ICC. But it should be recognized as an adaptation within the Court which is not the result of the ICC’s ability to fulfil its promise or meet its expectations. Rather, it is a result of a very mixed record, deleterious and selective engagement with the Court by the international community, and the ICC’s concomitant inability to fulfil the massive expectations it set out for itself. This entry was posted in Complementarity, ICC Prosecutor, International Criminal Court (ICC), International Criminal Justice. Bookmark the permalink. (b) The OTP proactively inviting and welcoming voluntary self-referrals from States so as to trigger the jurisdiction of the Court. The latter practice is arguably a trend in the opposite direction to the one you mention in your post, or at least a slight qualification to it: the ICC appears to be encouraging self-referrals, thereby increasing its workload in the name of enhancing its underlying cosmopolitan credentials. By relying on cosmopolitan-constitutional teleological interpretations of its mandate, the ICC has been transforming itself from a “residual watchdog” into a “workhorse” (something McAuliffe refers to as “creeping cosmopolitanism”). Mark, thanks for drawing our attention to what may indeed an important shift in the ICC’s (or is it the OtP?) approach to post-conflict justice. Just one minor quibble – you cite Sarah Nouwen and Darryl Robinson, both of whom have written detailed explanations of what complementarity is and is not. Somewhat incomprehensibly, therefore, you continue to refer to the incorrect legal definition of complementarity as governing the relationship between the ICC and national justice systems. “Unable and unwilling” is not the legal standard governing an article 17 (complementarity) assessment. It is the existence of prosecutions at the domestic level, period. A State’s willingness or inability to conduct prosecutions is not the (whole) complementarity test. Also, complementarity does not mean that the ICC and national systems “complement” each other. It is a misnomer. The ICC has subsidiary jurisdiction, and the rest about cooperation and divisions of labour is nothing more than policy or wishful thinking (or both). Nouwen explains this distinction in minute detail in her book. These are important distinctions to keep in mind when assessing such a shift. If nothing else, you may be drawing the wrong conclusions if you’re working with the wrong concept of complementarity (but that is a separate debate to be had). Thank you for this great contribution. In a very succinct manner, you laid out the issues leading to the “shift” and issues to consider moving forward. Certainly a direction that more and more are becoming aware of, in part due to articles such as yours. As you likely know – and in no way takes away from the importance of the piece -, the emphasis on complementarity has been happening within the International Criminal Justice (ICJ) sphere (including at the ICC itself) for quite some time, most ardently by strong ICC State Parties in Europe and countries like the U.S. What is often not discussed is how this swing of emphasis towards complementarity has negative consequences, most acutely on the ICC as an institution. This is not to say complementarity is not worthy of the attention…quite the contrary. To have an international enforcement mechanism that achieves the highest degree of accountability for international atrocity crimes, you will need significant lifting by domestic jurisdictions as an international institution like the ICC will only ever be able to handle a small percentage of cases within any given conflict. Yet, we need to examine seriously the effects of over-emphasizing complementarity, especially in today’s world. One, the ICC is still a young institution that needs more and more support, yet its budget and standing in the world are always being debated. The ICC is the keystone to the system of complementarity, because without an effective ICC, there is no “carrot” or “stick” to incentivize accountability domestically. For the eons before the the onset of modern ICJ, national jurisdiction were doing little to nothing on domestic accountability for atrocities, so there needs to be a strong ICC that can serve its central role in the complementarity system and do it well. More to the point, complementarity is frankly of limited utility in practice. A gross majority of atrocities occur in countries with little rule of law capacity, failing or failed states, and/or under oppressive governments that have their proverbial thumb over the judiciary. It is a tall task to expect any of these countries during or post-conflict to operate even common criminal cases let alone the most complicated kinds on the planet, and it requires extensive international commitments (time, money, effort) just to get these jurisdiction to a level to handle normal criminal cases. This critique does not even include worries about domestic politicization of trials or fostering enough political will to do atrocity crimes cases. Complementarity must and should be given significant attention by the international community, as it is a cornerstone of the future international criminal justice system. However, this attention should not come at the expense of support for the ICC, political, financial, and otherwise.